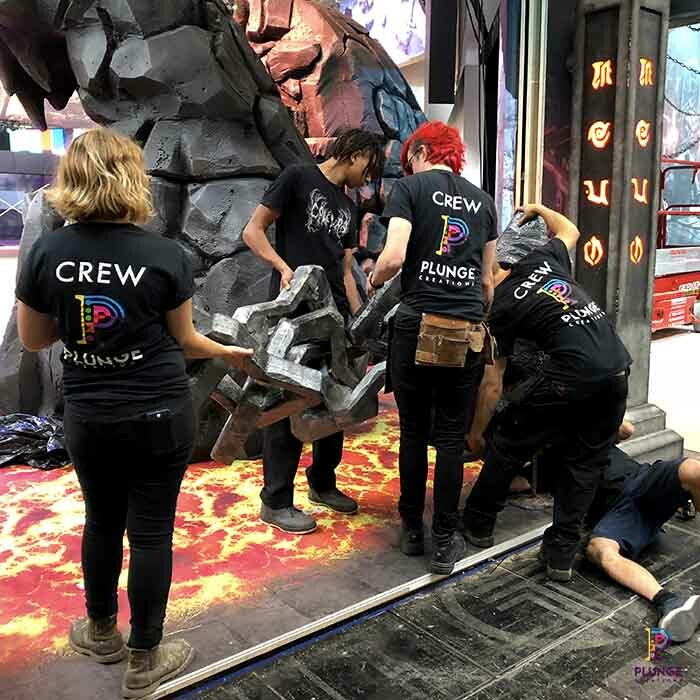 What is one of the main things to consider when designing a booth for some of the world’s biggest gaming conferences like Gamescom, E3, GDC or PAX? It is how you’re going to make your brand stand out way above all the others, right? 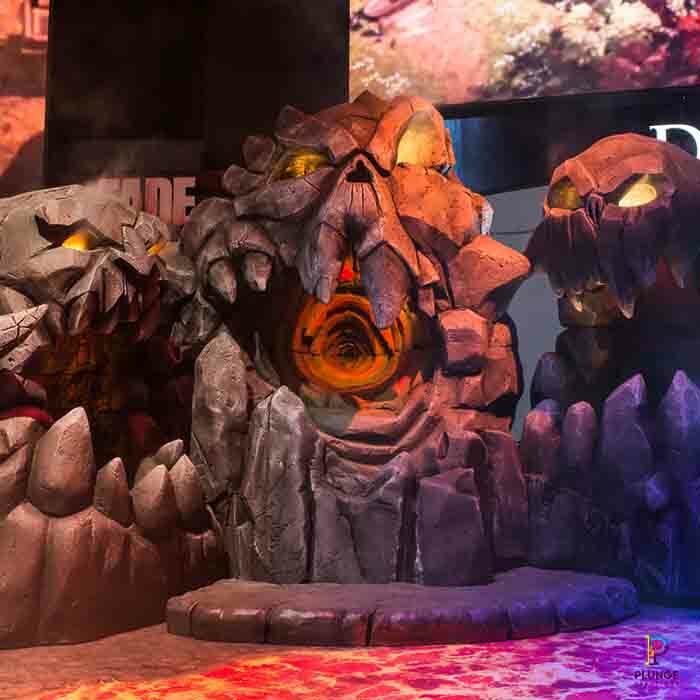 Well, that’s exactly what Evolve CSL set about doing for THQ Nordic at Gamescom 2018. 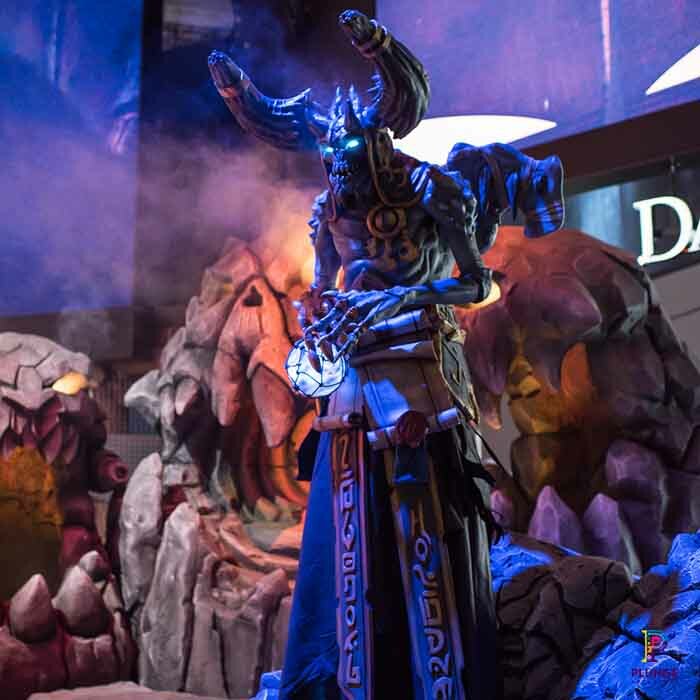 Hosted in Cologne, Germany, Gamescom is amongst the world’s best known games conventions with more than 300,000 visitors. 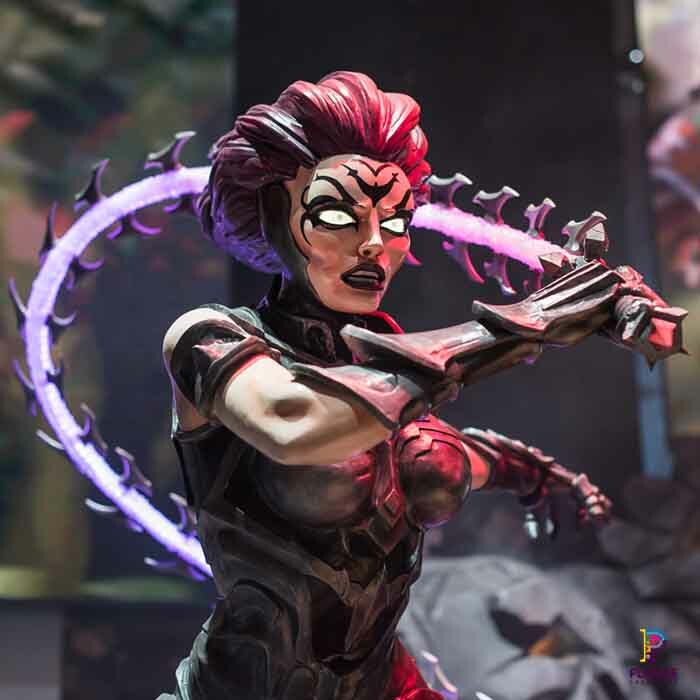 The THQ Nordic stand spotlighted four of their main new games. Each game was given it’s own hyper-realistic environment. 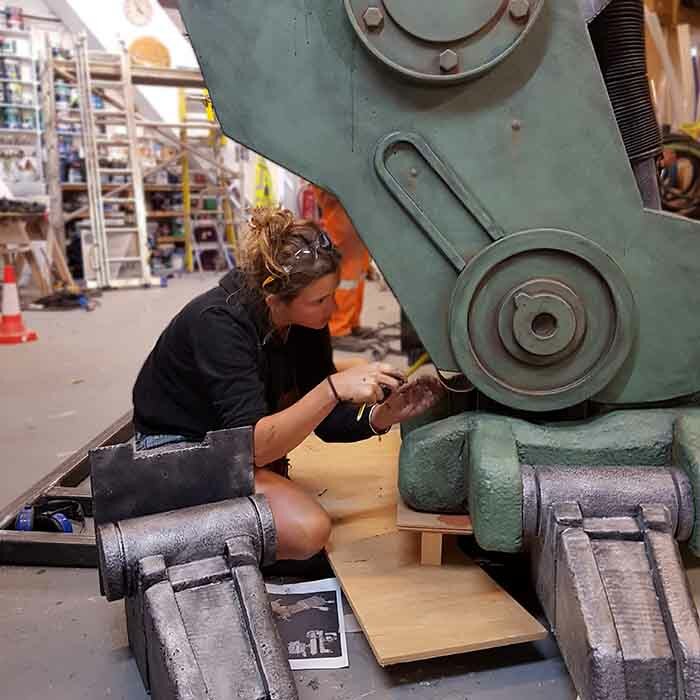 It was as part of fabricating these areas that Plunge Creations got involved. 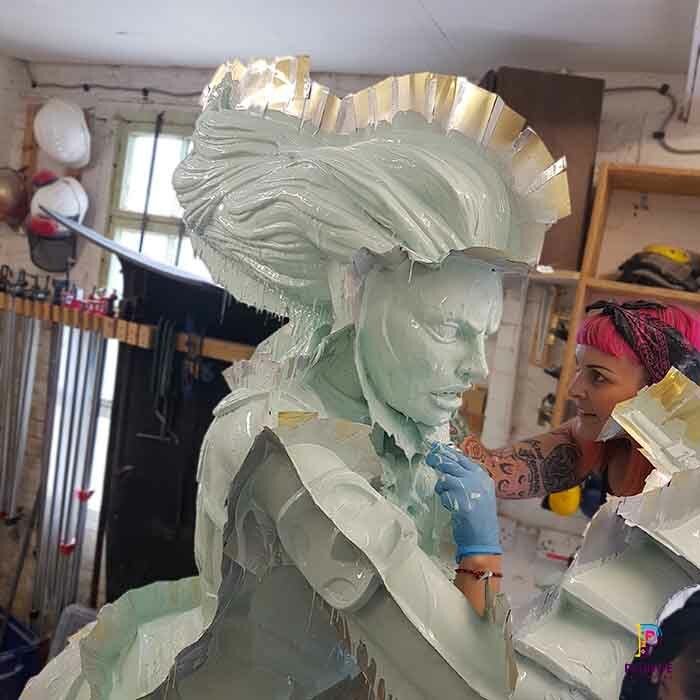 Evolve CSL commissioned Plunge to create 3D sculptures of characters from THQ Nordic games. 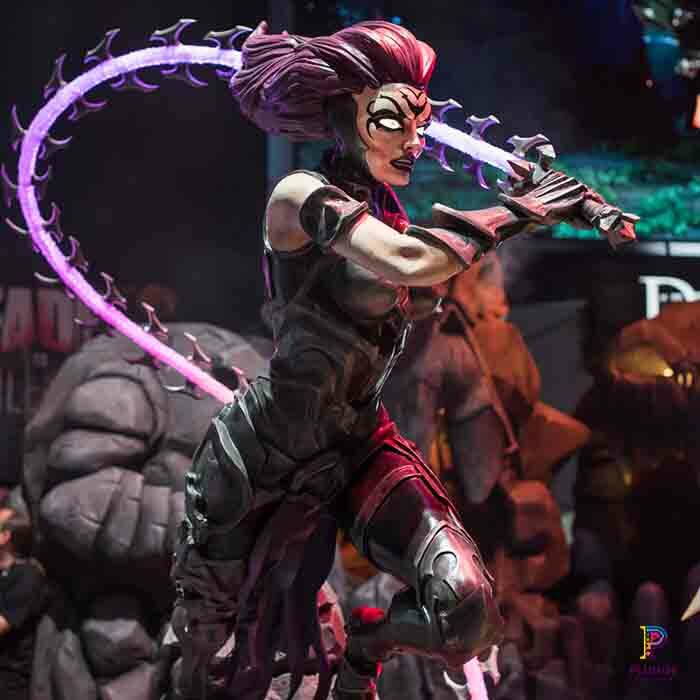 Over a number of months, working carefully from designs provided by the games company, we recreated Fury, Vulgrim and the Charred Council from Darksiders III. 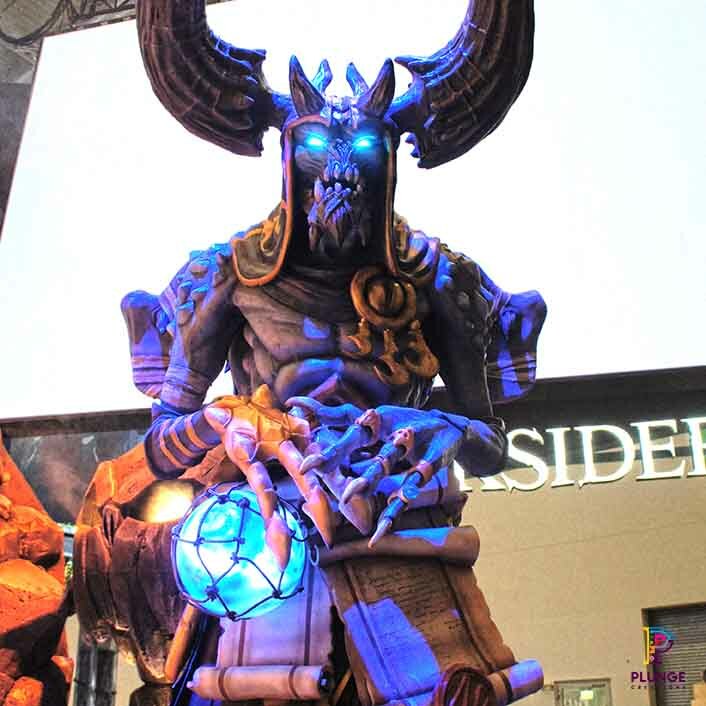 Incorporating elements like glowing whips, lit eyes and smoke machines. 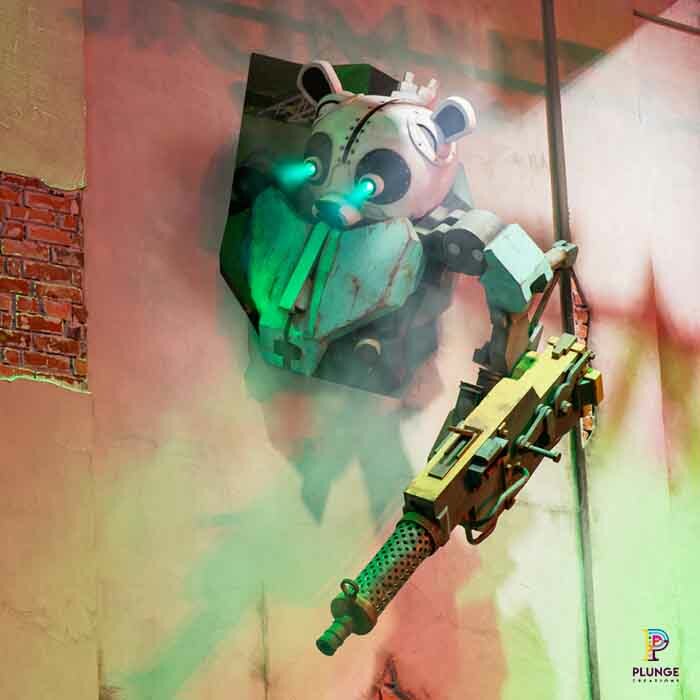 We also recreated a Biomutant machine in panda pank mode, which stood aloft of the booth. 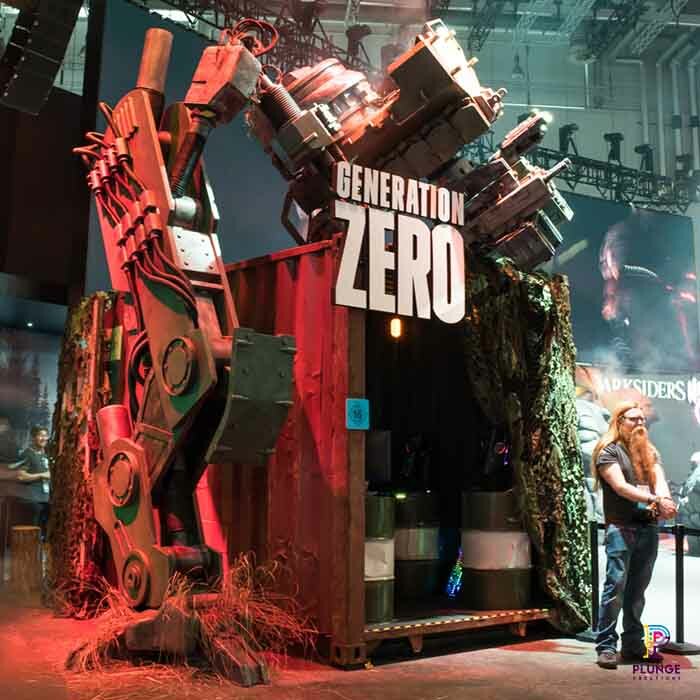 And finally, fitted to a shipping container, a Generation Zero robot. 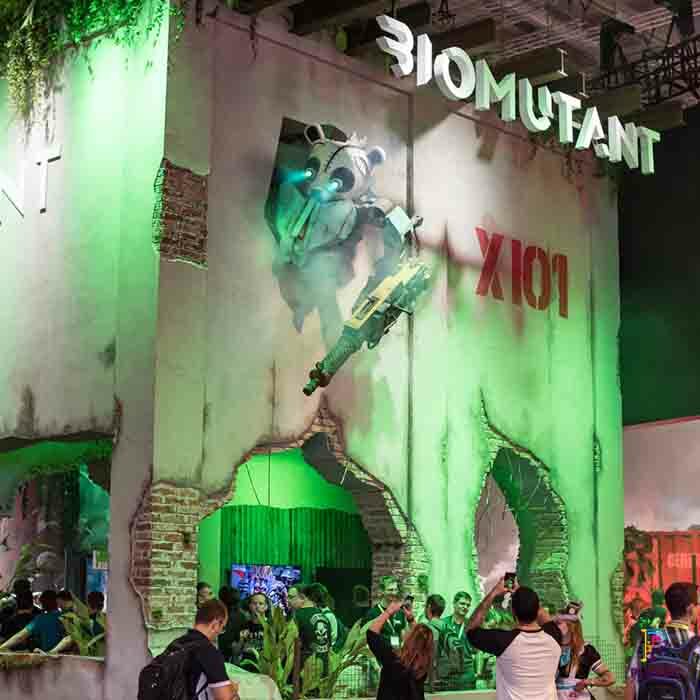 The booth was the ultimate consumer and business experience and, for all fans of the games, a definite “not to be missed” attraction. 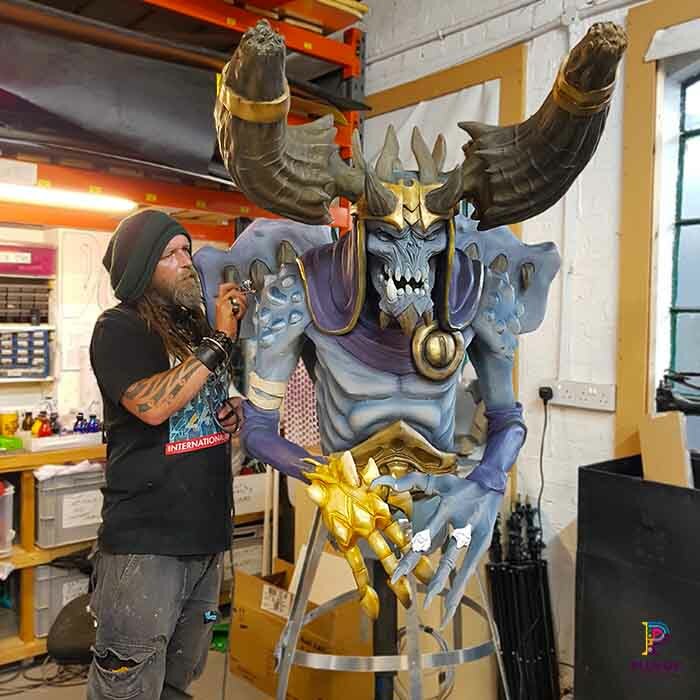 Since Gamescom 2018, the sculptures have travelled to Igro Mir in Russia and will shortly be heading out to the States.